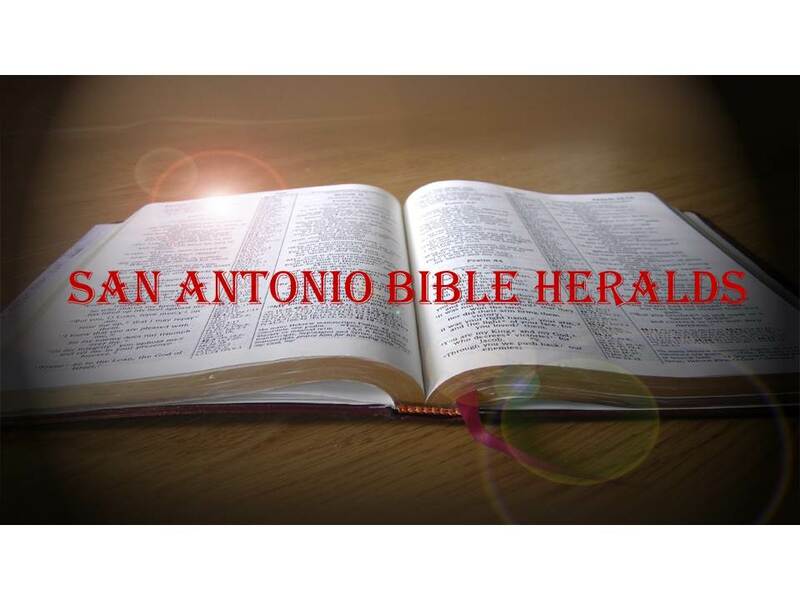 San Antonio Bible Heralds: The Bible: Always Under Attack! It is unfortunate that so many people are convinced of what is completely false, by what they hear or read on the internet and other media. Technology can be amazing and extremely useful (how many of us have wondered out loud: “how did people live before there were computers?” even when we ourselves were among that number). But one very dangerous drawback of the explosion of technology that we have experienced in the last 30 years or so, is that we have become overly dependent on it. Although you don’t often hear people express it in so many words, the attitude that far too many take is that “it is on the internet, so it must be true.” Anyone who has spent more than 30 seconds reading internet articles will quickly be able to tell you that believing such a thing is about as low as anyone can sink. And I say that as one who uses the internet to publish articles and videos! 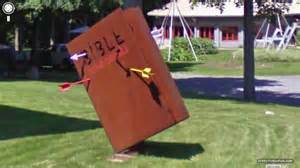 Of course, we haven’t yet touched upon the so called defenders of the Bible. The aforementioned article on Newsweek, written by one of its investigative reporters, purported to tell us that the Bible doesn’t really speak against homosexuality, that it is not inerrant because of some translation issues and that “extremists” have hijacked it in order to buttress their beliefs. Of course, those extreme beliefs will include the speaking out against homosexuality, adultery, fornication and other sins which today have become accepted and, sad to say, in some instances even celebrated. It should come as no surprise that our society, steeped in the sins they don’t want to give up, will condemn those who speak against those sins and will seek to undermine the source of their condemnation. All that said, however, it is saddest of all when those who are supposed to be the stalwart defenders and practitioners of what the Bible declares become some of its greatest enemies. And not only so, they will do so while all along telling us that they have a very high regard for the Bible and that they believe it is indeed the word of God. A cursory journey through the pages of time will reveal that the number of those who attack the veracity, accuracy or sufficiency of the Bible is ever on the increase. Let us look at just a few of the examples that show how this has come about. The first four centuries of church history will reveal that there was an existential struggle for the life of the church. The church was a persecuted church, in fulfillment of the Lord’s very words which prophesied that “if they have called the Master of the house Beelzebub, what will they not call his servants?” (Matthew 10:27) The scriptures were burned, churches were ransacked and Christians were tortured and killed by the thousands. Throughout all of this, however, what came to be known as the New Testament was collected and preserved by the faithful because they recognized that the writings they had received from the apostles and their followers, were worthy of preservation and study. With the corruption of the church that began in earnest in the fourth century, however, the Bible became less and less accessible to the masses. The Catholic Church, in developing a myriad of practices and ceremonies foreign to the early church, sought to minimize the influence that the Bible had on public ideas and belief. To this day, the Roman Church still tells us that the Bible, though important and inspired, is not a sufficient source for faith and practice. This they tell us in order to justify their oral tradition, a tradition which, in their pronouncements, they hold as authoritative as the Bible itself. The Latter Day Saints, better known as the Mormons, have as one of their articles of faith that “the Bible is the word of God in so far as it is correctly translated.” Of course, correct translation doesn’t mean to the Mormon what it means to the rest of us. Rather, it means that whenever the Bible disagrees with the Book of Mormon and the other “scriptures” of the Mormon Church, it is in error. The Jehovah’s Witnesses created their own version of the Bible, the New World Translation (NWT), in order to obscure primarily the deity of Christ. If you read the NWT, you will see that they have inserted or taken away many words in those passages that clearly affirm Christ’s deity in order to support their doctrine of Christ as a created being. And so it goes. Islam will tell us that they revere the Torah and the Gospel, but they will claim that what we have today is corrupted. Again, as with the Mormons, the idea is that, where those books agree with the Qur’an they are true, but wherever they disagree they are corrupted. One wonders how anyone got to know anything about Judaism and Christianity with such rampant corruption taking place. It is amazing how anyone who makes such claims can know anything about ancient history. You would think that all historians of antiquity went around corrupting every book they found so it would fit their agenda. And, if you found a book that didn’t agree with you, why not just write another one? Well, many did and those are the books, such as the gospel of Thomas and others, which our modern “scholars” are so eager to embrace. Consistency indeed is a jewel!! Next time: What really happened at Nicaea.